Yesterday, it finally rained. Not just a soggy drizzle, but all out, thundering, lightning, blow over the plants on the patio RAIN. I almost ran outside to stand in it until the lightning forks in the near vicinity had me rethinking that urge. 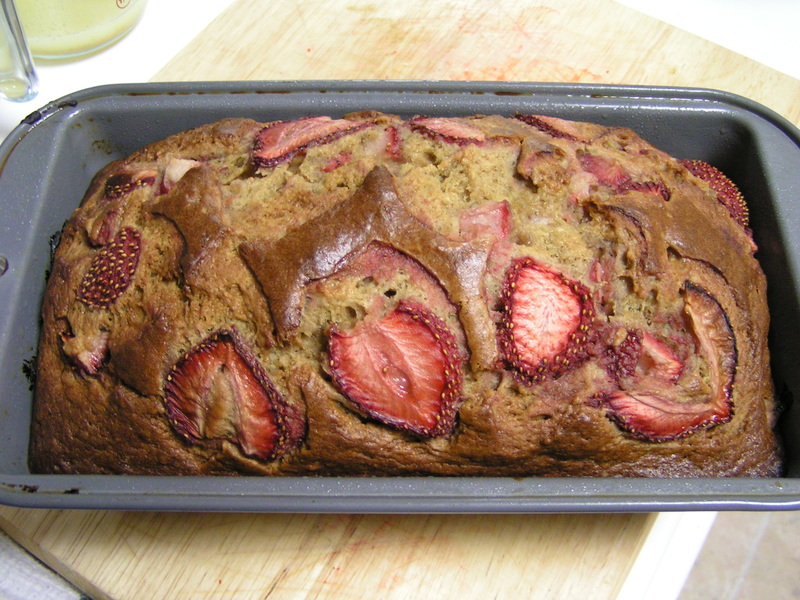 Instead, I made banana bread. 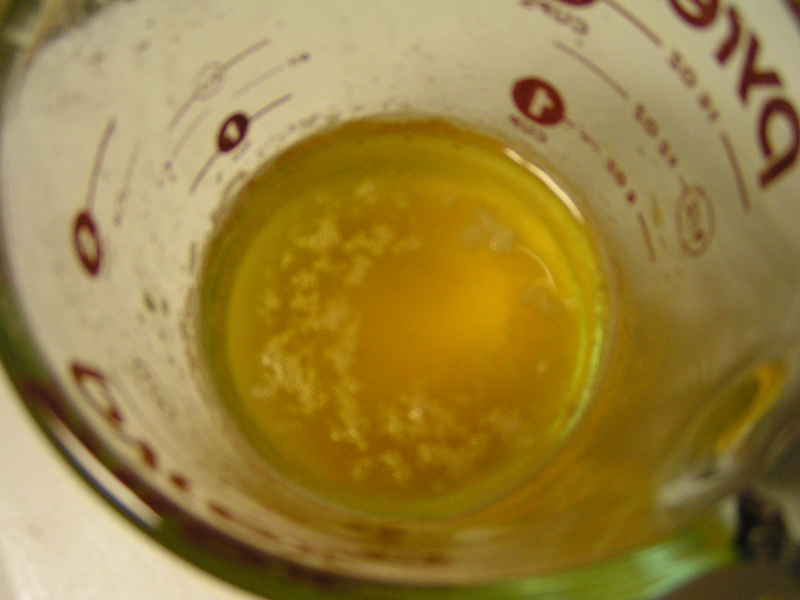 Brown the butter (about 5 oz or 1/2 cup) in a saucepan over medium heat. Yes, this is something that requires attentiveness. The butter will foam and crackle as it melts, and then brown. Swirl the pan to keep it from burning. When the butter begins to brown and smell nutty, pour it out of the pan so that it immediately stops cooking and hopefully prevents burning! I just poured it into the measuring cup, and popped it into the freezer to cool for a few minutes. Preheat the oven to 350F, and grease a 9×5 loaf pan. 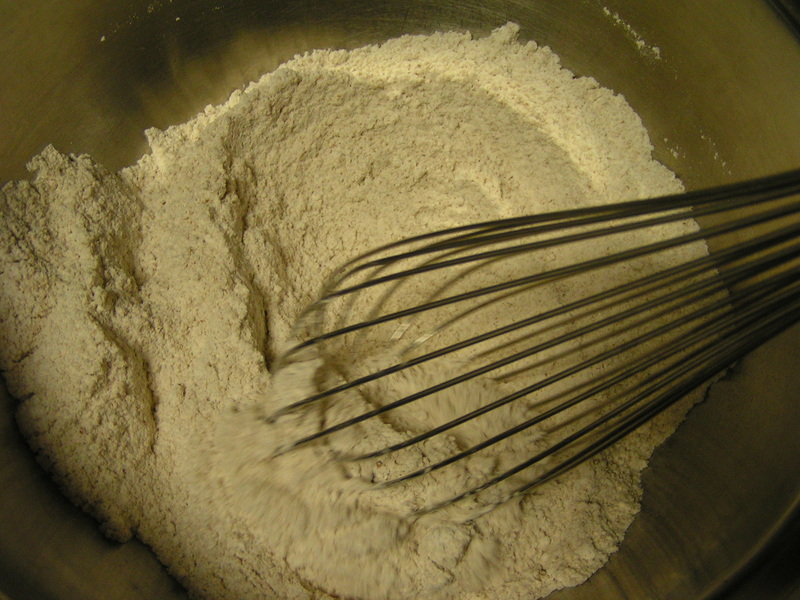 In a large bowl, whisk together 2 cups flour, 3/4 cup brown sugar, 1 tsp baking soda, and 1 tsp cinnamon. 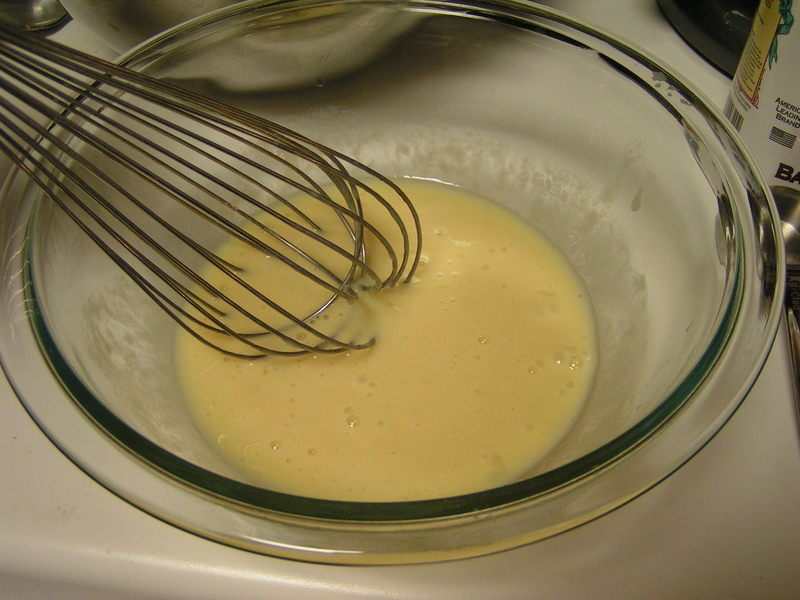 In a medium bowl, whisk 2 large eggs, 1 tsp vanilla extract, and 1/4 cup buttermilk. Mash 3 medium sized bananas. 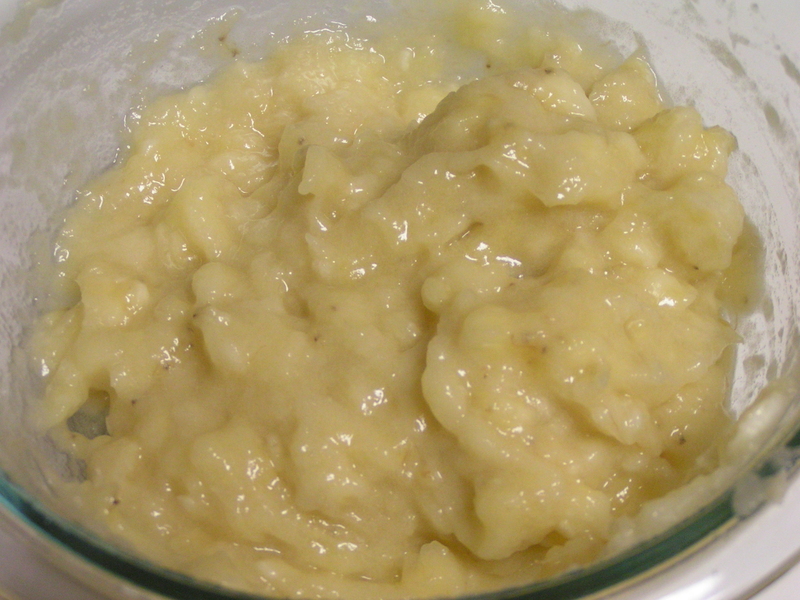 Stir the mashed bananas into the egg mixture. Check on the butter in the freezer. It should be cool by now. 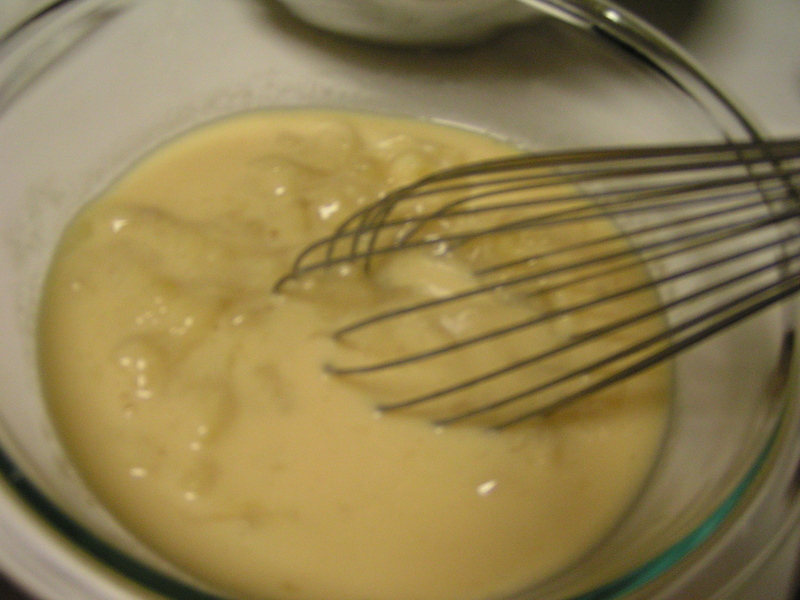 Whisk it into the egg and banana mixture. 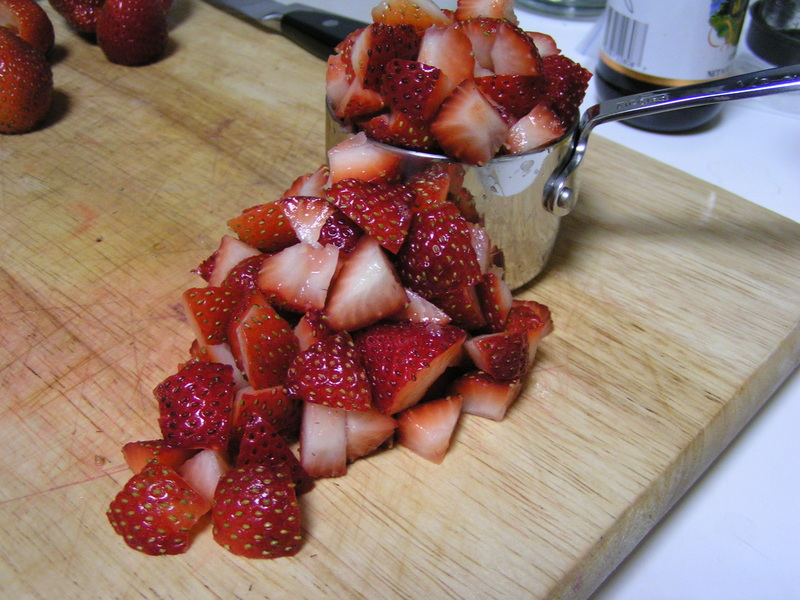 Add the wet ingredeints to the dry, and fold together, then fold in 3/4 to 1 cup diced strawberries. 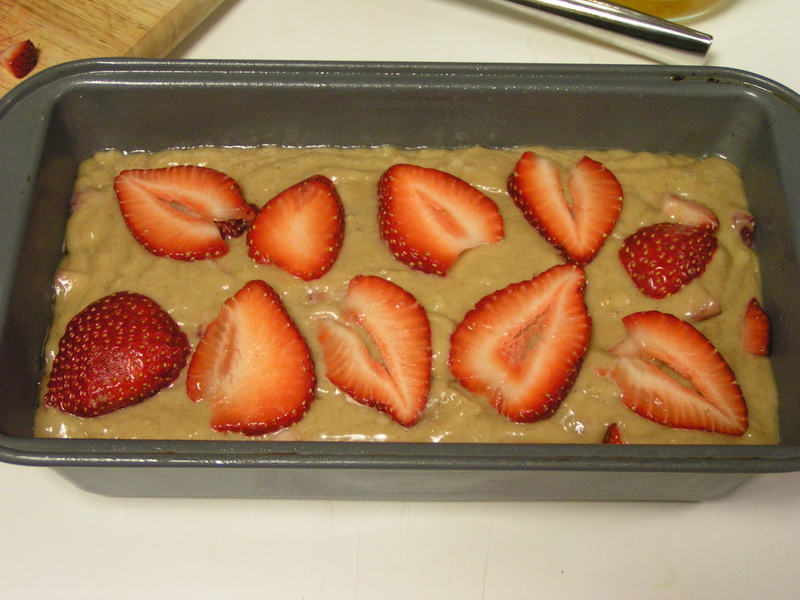 Pour batter into prepared loaf pan, and top with thinly sliced strawberry. I saved the biggest one from the package for the top. It’s so pretty, I wanted to get a spoon and just eat it. But instead, I baked it for about an hour. I’m glad I waited! It looked even better when it cam out of the oven! I just had some for breakfast. 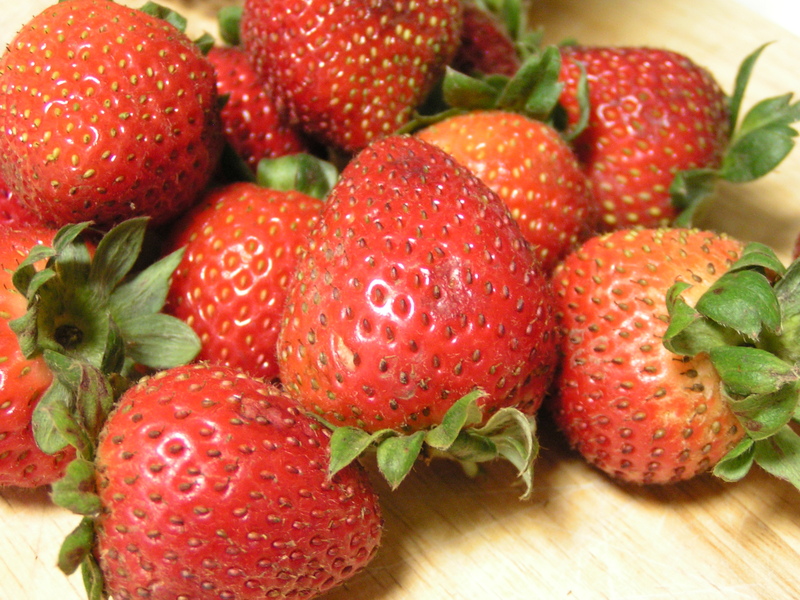 The tartness of the strawberries gives a nice contrast to the sweetness of banana. 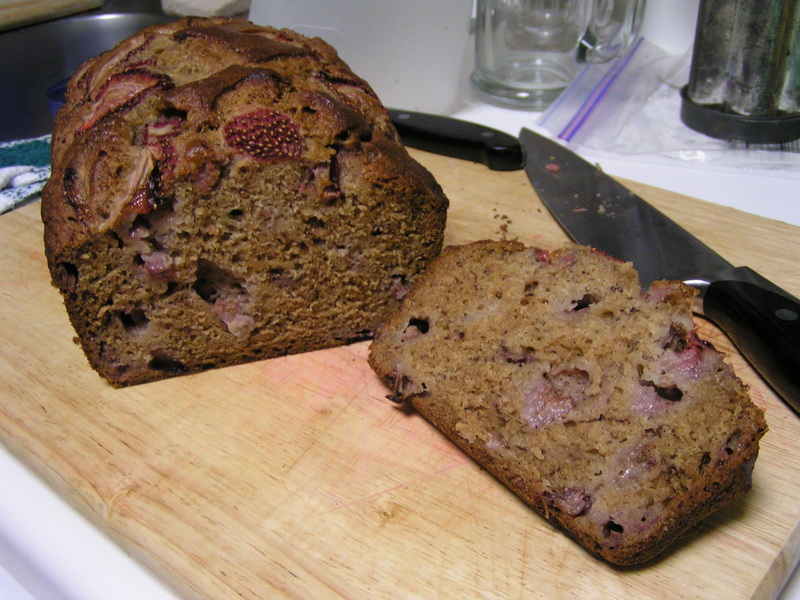 This would make a great gift, as it is really pretty…but I think I’ll just eat this loaf! Hubby and rat Boy might have to fight me for it. But of course! Made the banana muffins too, and they are all gone this morning…the bread is half a loaf now. 😛 Guess I’d better hide some!